12" 13" 14" 15" 16" 17" 18" 19" 20" 21" 22" 23" 24" 25" 26" 27" 28" 29" 30" 31" 32" 33" 34" 35" 36" 37" 38" 39" 40" 41" 42" 43" 44" 45" 46" 47" 48" 49" 50" 51" 52" 53" 54" 55" 56" 57" 58" 59" 60" 61" 62" 63" 64" 65" 66" 67" 68" 69" 70" 71" 72" 73" 74" 75" 76" 77" 78" 79" 80" 81" 82" 83" 84" 85" 86" 87" 88" 89" 90" 91" 92" 93" 94" 95" 96" 97" 98" 99" 100" 101" 102" 103" 104" 105" 106" 107" 108" 109" 110" 111" 112" 113" 114" 0/0"1/8"1/4"3/8"1/2"5/8"3/4"7/8"
12" 13" 14" 15" 16" 17" 18" 19" 20" 21" 22" 23" 24" 25" 26" 27" 28" 29" 30" 31" 32" 33" 34" 35" 36" 37" 38" 39" 40" 41" 42" 43" 44" 45" 46" 47" 48" 49" 50" 51" 52" 53" 54" 55" 56" 57" 58" 59" 60" 61" 62" 63" 64" 65" 66" 67" 68" 69" 70" 71" 72" 73" 74" 75" 76" 77" 78" 79" 80" 81" 82" 83" 84" 85" 86" 87" 88" 89" 90" 91" 92" 93" 94" 95" 96" 97" 98" 99" 100" 101" 102" 103" 104" 105" 106" 107" 108" 109" 110" 111" 112" 113" 114" 115" 116" 117" 118" 119" 120" 121" 122" 123" 124" 125" 126" 127" 128" 129" 130" 131" 132" 133" 134" 135" 136" 137" 138" 139" 140" 141" 142" 143" 144" 145" 146" 147" 148" 149" 150" 151" 152" 153" 154" 155" 156" 157" 158" 159" 160" 161" 162" 163" 164" 165" 166" 167" 168" 169" 170" 171" 172" 173" 174" 175" 176" 177" 178" 179" 180" 181" 182" 183" 184" 185" 186" 187" 188" 189" 190" 191" 192" 0/0"1/8"1/4"3/8"1/2"5/8"3/4"7/8"
Blinds under 17" have no lift cord and a center cord tilt only. LIFT CORD ON THE RIGHT, CORD TILT ON THE LEFT ONLY. Less expensive but good quality. 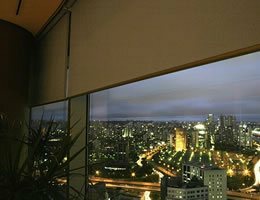 No upgrades such as decorative tapes or changes to controls. Faster delivery and lower price. Limited colors & sizes. 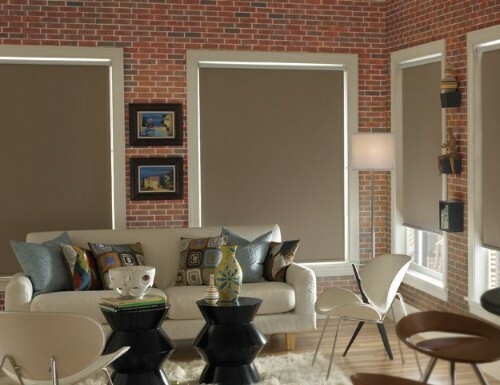 Matching colors w/ our Embassy Faux Wood blinds for larger size blinds. More choices such as lift and tilt control locations. clear wand tilt on left only. 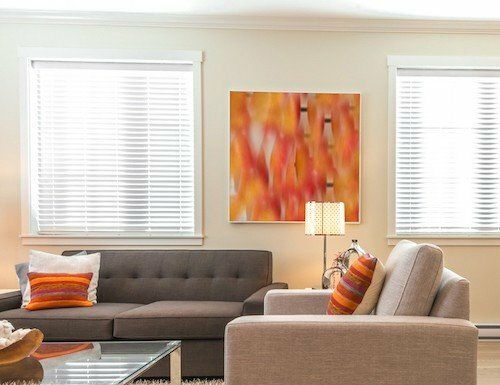 Realistic stain colors that look like actual wood grain. 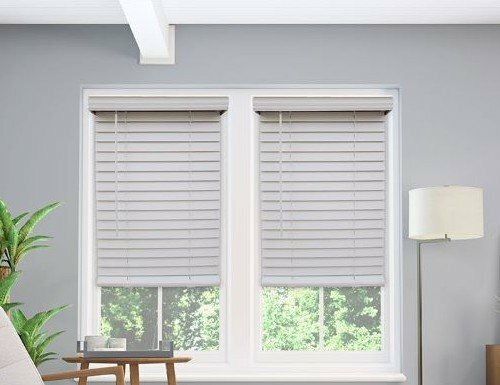 Free "Cornice Style" valance upgrade. Anti Static for less dusting. 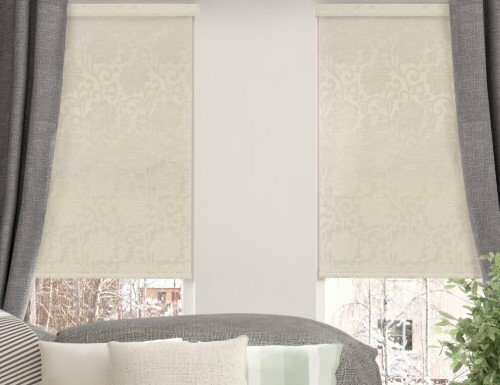 Whites come in either smooth or textured finish. Cord tilt only. Wand not available. Backed by the Good Housekeeping Seal! 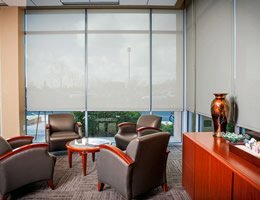 Odor Free - Non-toxic polyester fabric. 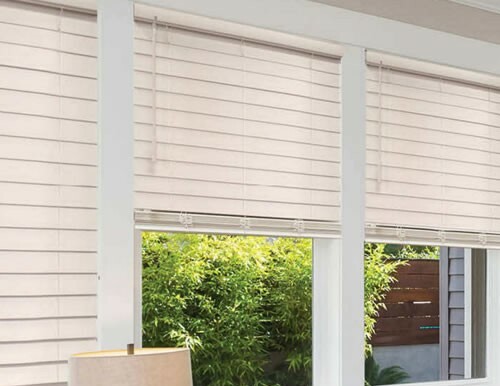 At Blinds Chalet we know that like most families, your kitchen is the hub of your home where you spend much of your time cooking meals for your family, making preparations to entertain, and often just visiting with your loved ones. Family and friends tend to congregate in the kitchens of most homes. 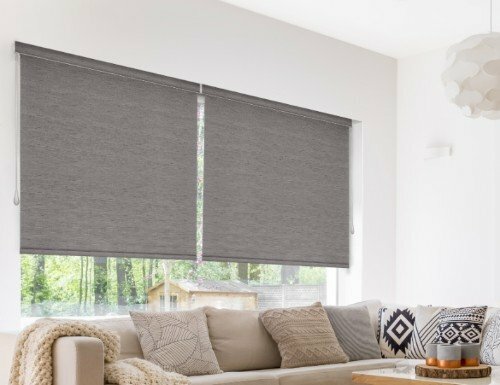 As such, the kitchen ought to be a pleasing, functional, and easily-maintained area, and choosing the right kitchen blinds and shades can help serve these important purposes. 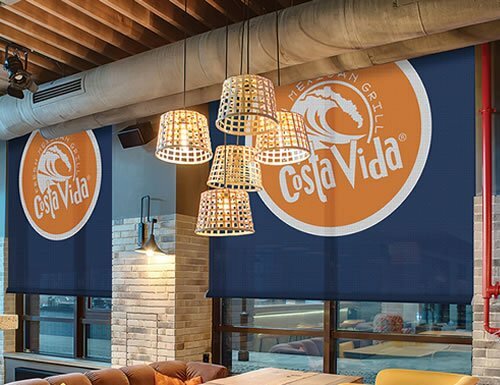 Our kitchen roller shades can aid in clinching the style and practicality of a kitchen in which you’ll be sure to take pride. 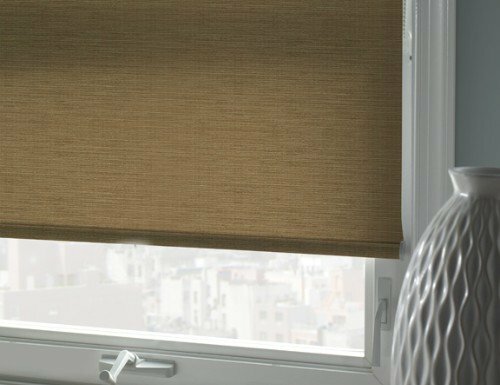 What are the different types of kitchen blinds? 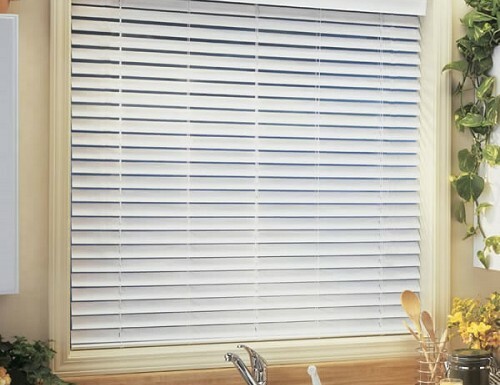 We recommend you use a durable and water resistant window blind in your kitchen when it will be close to the sink. 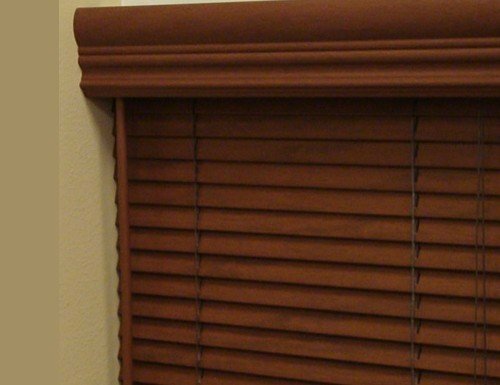 Faux wood blinds tend to be the most popular for kitchens. 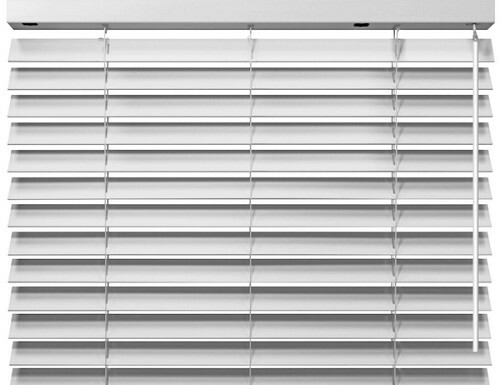 Kitchen faux wood blinds are easy to operate and clean. They will also resist moisture warping. 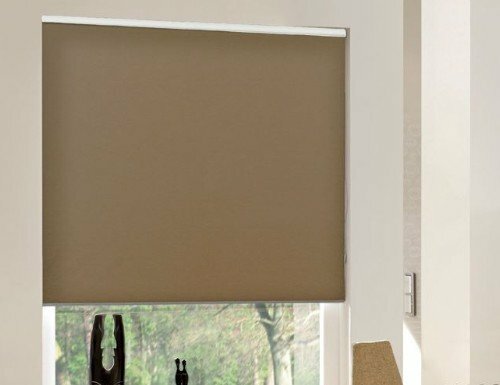 What type of blind or shade should I put in my kitchen? This is a very common question that we are asked. Due to the high traffic, food prep, water and oil splashing, the kitchen is prone to moisture and grime. 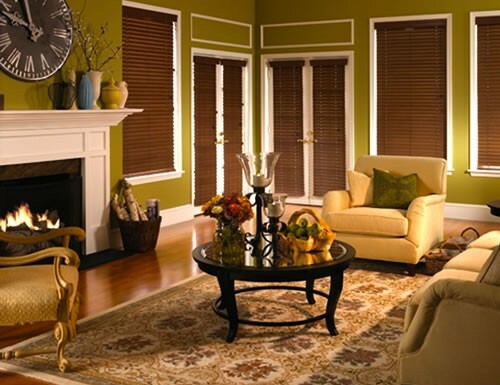 You will want to use something that can be cleaned easily. 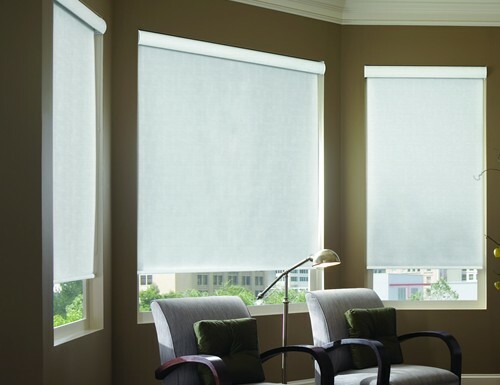 This is why we would recommend our faux wood blinds or our roller shades. 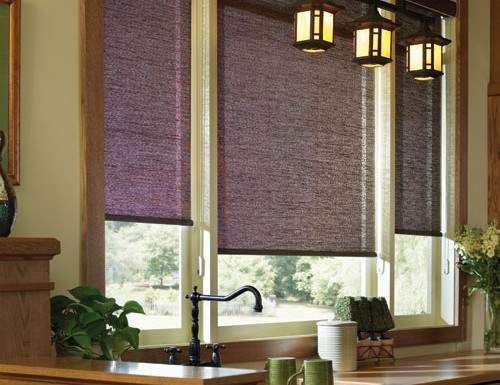 What type of window blinds and shades for kitchens are in style right now? 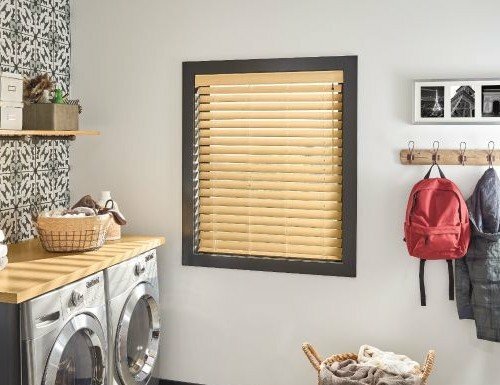 The most popular types of blinds and shades for the kitchen right now are our 2" faux wood blinds. 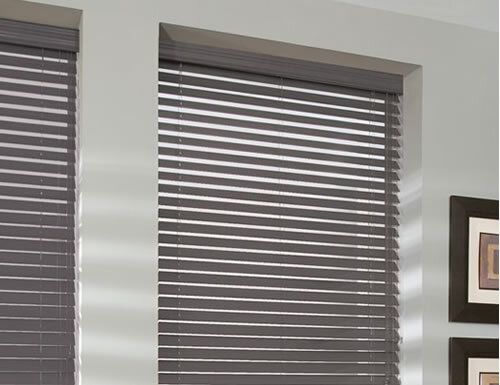 These blinds are water resistant, warping resistant and easy to clean. 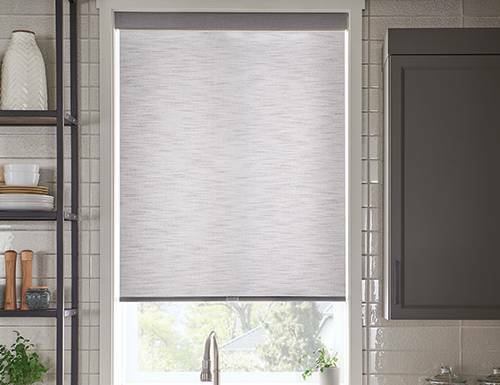 New for 2019 we have some modern gray and tan colors. 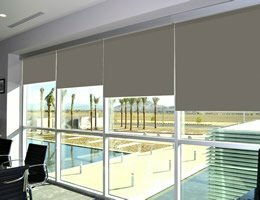 What brand of kitchen blinds is best? 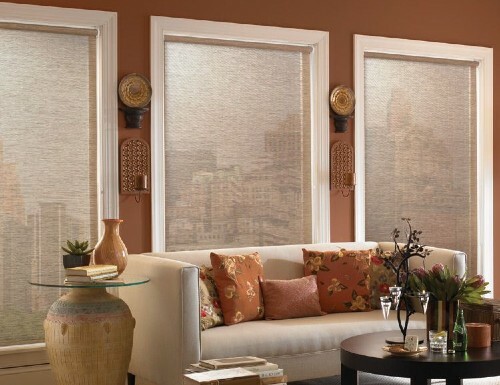 For your kitchen, we recommend that you use our faux wood blinds or roller shades. 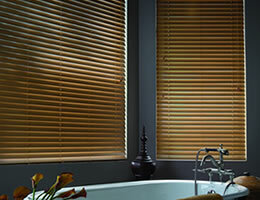 We also offer Bali and Good Housekeeping brands as well. 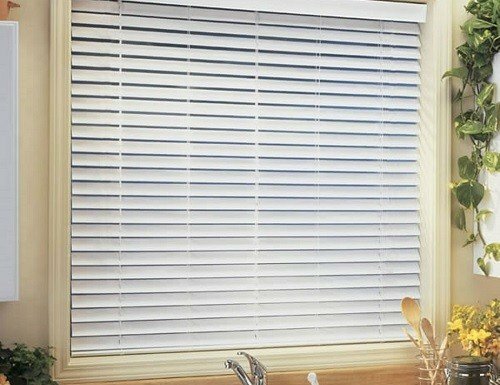 What is the best window blind for a kitchen? 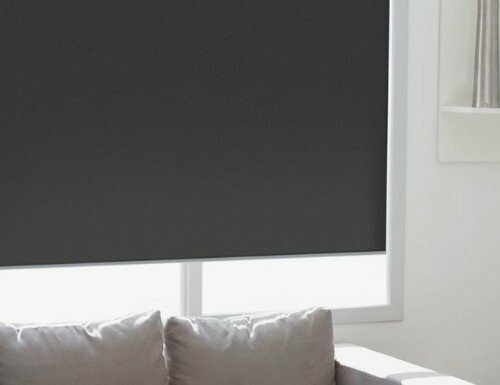 Kitchen blinds are a little tricky. 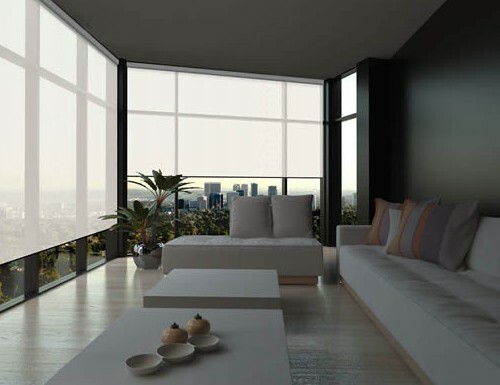 There is typically a higher volume of traffic through the kitchen, so dirt and grime tend to collect more. 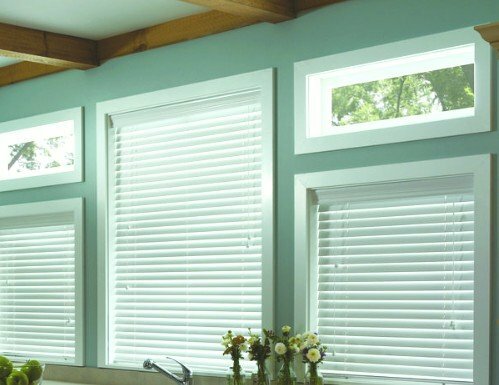 Many times, we have windows by our sink area as well so moisture and humidity can be a concern in the kitchen area. 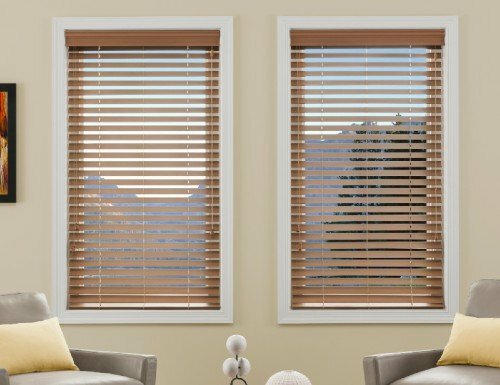 This is why we recommend faux wood blinds. 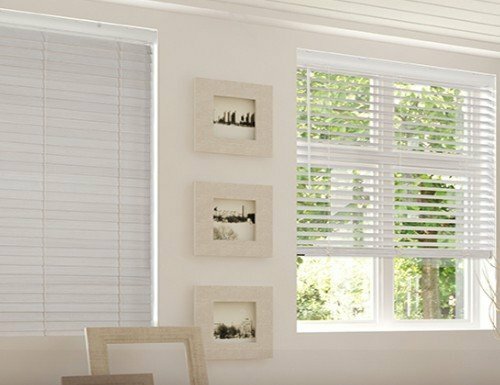 These blinds and shades are more easily cleaned and handle moisture and humidity better than most other types of blinds or shades. 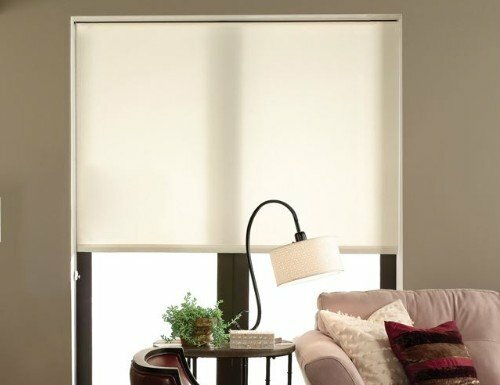 What is the best blind for large kitchen windows or doors? 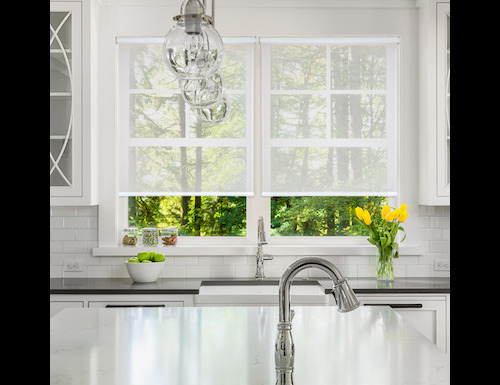 Light is important for a kitchen window. 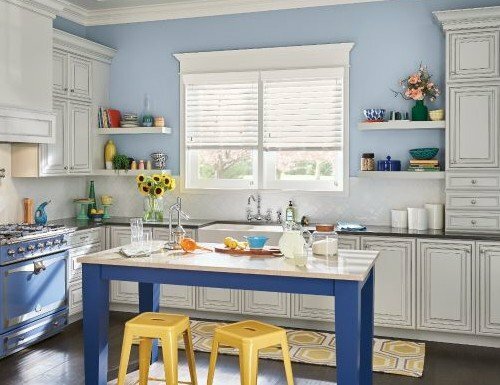 To many, the kitchen is the center of the home where many families gather. 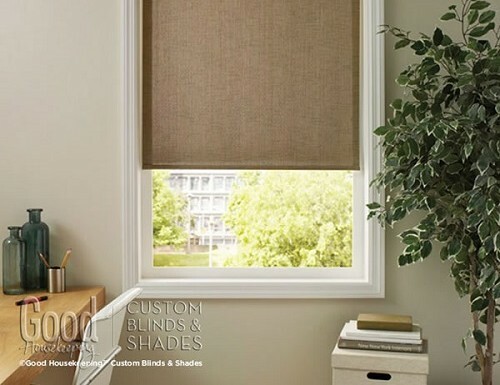 You want to put something beautiful that lets light in, therefore a faux wood blind is a perfect choice. 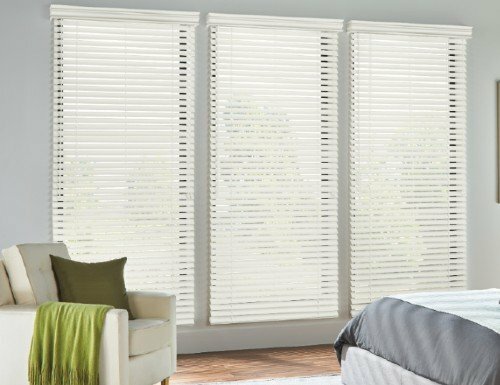 You can tilt the slats to let just the right amount of light to come through while still offering you privacy. 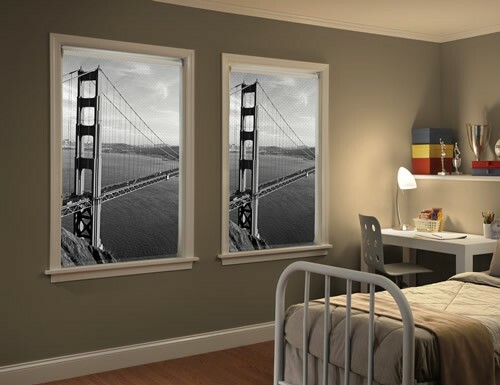 These also work great on kitchen doors. 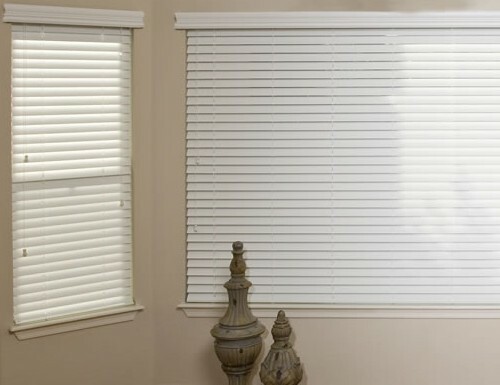 You can add hold down brackets to the bottom rail of these blinds to keep the blind from moving back and forth.